This entry consists of two parts: one that the working preacher might proclaim and one that she should not bring with her into the pulpit. Both parts are, however, are worth knowing. The portion of the psalm assigned for the Fourth Sunday after Pentecost are verses 8 to 14, the praise of God from chet (ch) to samek (s). To be more accurate, however, I should say that the praise almost spans those two poles. It turns out that the line that would begin with the letter nun (n) is missing from the Masoretic Text. That is, the line that the NRSV provides at the end of verse 13 as “The LORD is faithful in all his words, and gracious in all his deeds,” does not appear in the Hebrew text upon which many English translations are predicated, including the KJV. Nevertheless, no small controversy exists over this practice by modern editors. Questions of canon, the authority of the Masoretic Text, and even whether or not the inserted verse is original are debated. On the latter point, it is true 11QPsalm145 differs from the Septuagint in that the former reads “God [elohim] is faithful,” as opposed to “The LORD [yhwh] is faithful.” The Qumran copy, moreover, inserts a refrain at the end of each verse, “Blessed be the LORD and blessed be his name forever and ever” (brwk yhwh wbrwk shmw l’‘wlm w’d), a circumstance that suggests the liturgical use of the psalm in the Qumran community. By now the perspicacious preacher has figured out that the text critical remarks above are the part of this entry that should not be carted into the pulpit. 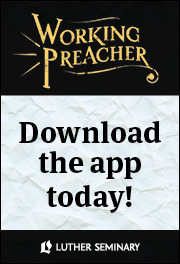 But for the pastor who conducts pericope studies with her congregants (and how transformative it would be were that a description of every pastor! ), the missing nun verse provides an excellent opportunity to help her people to think about the origins of our canon, the nature of the Bible as scripture, the history of transmission, the dangers of idolizing the Bible or a particular translation of it, the impossibility of discovering a flawless “original copy” of the Bible, and more. Returning to the task of proclamation: Thirty years ago, Walter Brueggemann taught us that hymns such as Psalm 145 one are best understood as psalms of orientation, that is, songs sung when life is marked by balance and shalom.2 In this case, a blessing upon the LORD’s holy name (and thus upon the LORD) bracket the psalm (verses 1-2, 21) and surround the psalmist’s praise. That is, the hymn’s structure provides an accent to a main theme of the psalm, namely the all-encompassing character of God’s majesty and goodness. God’s providential care encircles the psalmist (and us!) in ways that are at once unsearchable (verse 3) and yet celebrated from generation to generation (verse 4). The psalmist expresses his intention to meditate upon God’s majesty (verse 5b) and to declare God’s greatness (verse 6b), thus adding his voice to the choir of those of those praising the LORD from time out of mind. Speaking of the cluster of adjectives that occur in Exodus 34:6-7, Brueggemann asserts that they had behind them a “rich variety of verbal sentences that support and give credence to the adjectival claims.”6 Among these adjectives are those that characterize Yahweh as merciful (rachum), gracious (chanun), slow to anger (‘erek ‘appayim) possessing steadfast love (chesed), and faithful (‘emet). The LORD’s long history with Israel, encapsulated in this credo of adjectives (to which we might also add the LORD’s goodness and compassion in verse 9), promise that life lived under this King will be one of security and benevolence. The royal language with which the psalm began (verse 1) expands in verses 11 to 13, the structural heart of the psalm. Life lived under the watchful diligent care of a LORD whose character and history of compassion are secure will be marked by both doxology and testimony. The LORD’s works and, most of all, the LORD’s faithful ones (verse 10) bear witness to the character of a life lived under this King and in this eternal kingdom (verses 11-13). The content of that doxological testimony appears in verses 14 and following. This faithful and gracious LORD will see to it that, in his kingdom, those who are falling or bowed down (verse 14), those who hunger (vv. 15-16), those who seek justice and who cry out to the LORD (verses 17-19) will be cared for by the LORD who watches over all who love him (verse 20). If ancient Israel could praise and bear witness to a God they knew well and whose history with them they could sum up with adjectives that pointed to stories of salvation, how much more might those who have seen this God crucified, risen, and ascended? On the latter point, the Christ whose being is bound up with the LORD of this psalm is elevated to a place where he sees and acts on behalf of all who love him. And from that royal vantage point, he urges us to act as agents, embodying the LORD’s own gracious mercy. We cannot say, of course, that the kingdom about which this psalm sings and Jesus proclaimed has yet fully dawned. But that is the prayer of the church (“your kingdom come”) and the confident hope in which we live. 1 A similar situation pertains in the final verses of 1 Samuel 12 where a passage long known from Josephus but confirmed in Hebrew at Qumran has now been interposed into the text. 2 On psalms of orientation, see Walter Brueggemann, The Message of the Psalms (Minneapolis: Augsburg, 1984), 25-49. 3 See similar expressions at Exodus 34:6; 2 Chronicles 30:9; Nehemiah 9:17, 31; Psalms 86:15; 103:8; 111:4; 112:4; 116:5; Joel 2:13; Jonah. 4:2. 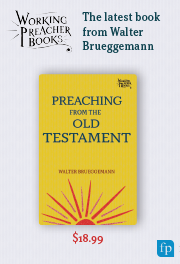 4 Walter Brueggemann, Theology of the Old Testament: Testimony, Dispute, Advocacy (Minneapolis: Augsburg Fortress, 1997), 213–28. 7 That verse commences with n'mn, a niphal participle of 'mn from whence the adjective 'mt is derived. Discussion on texts for Ordinary 14 (July 6, 2014): (Gospel) Matthew 11:16-19, 25-30; (1st Reading) Zechariah 9:9-12; (Semicontinuous 1st Reading) Genesis 24:34-38, 42-49, 58-67; Psalm 145:8-14; (2nd Reading) Romans 7:15-25a.